When one door closes, another opens. 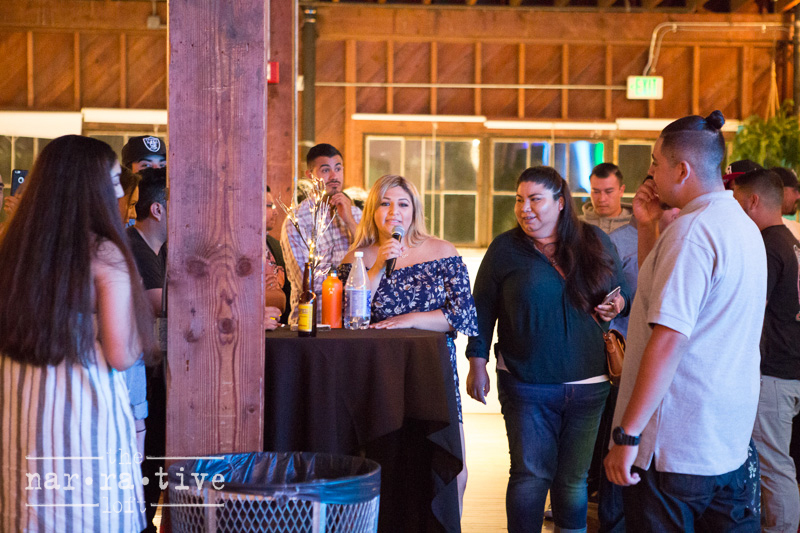 On July 7th, Adrian Solis welcomed his friends and family to The Narrative to join him in celebrating a new chapter of his life. Adrian recently accepted a new job opportunity that required him to relocate from the Santa Barbara area to across the country. His loved ones enjoyed a night of dancing and laughter as they celebrated Adrian's success and said a bittersweet goodbye to someone so special to them. Adrian created a unique celebration in our venue and we are so happy we could share this event with him and his loved ones. Good luck with this new part of your life Adrian, we can't wait to see your success! Adrian surrounded by his incredible friends and family! Everybody getting in on the action to celebrate Adrian! Guests shared their personal stories and congratulated the guest of honor! Best of luck to you, Adrian! The Narrative was filled with vibrant colors and lots of laughter!